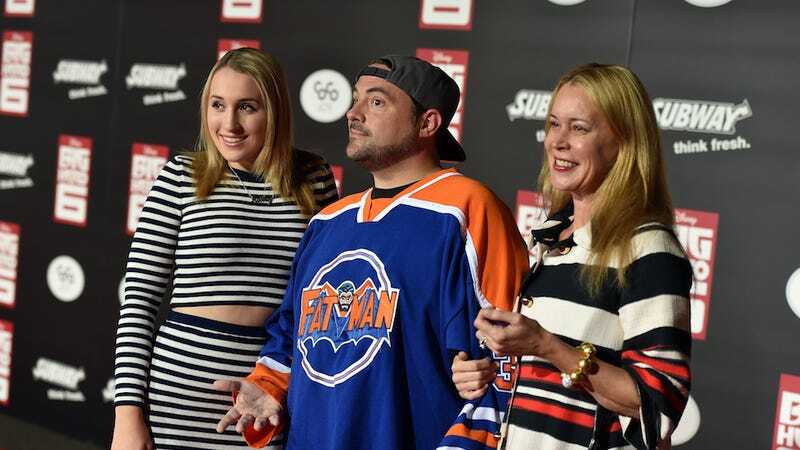 Harley Quinn Smith, daughter of director Kevin Smith, was recently standing outside a Brentwood Starbucks waiting for an Uber when two men pulled up in a beige car and tried to convince her that they were her ride. They were not. I was just standing outside a Starbucks in Brentwood, where I was waiting for my uber when a large, beige car drove up to me and tried to get me to think they were my uber. There were two white men (age 20-30) in the driver (blonde hair) and passenger (brown hair) seat with an uber sign on their front window, but they were most definitely not uber drivers. When I asked who they were there to pick up, making sure it was the right car, they wouldn’t answer me and said to get in the car. They didn’t have the uber app on their phone and were clearly just two disgusting dudes trying to kidnap a girl standing on her own. Protect yourself and never ever get in a car without checking that it’s the correct car first!!! I was in too much haze of fear that I wasn’t thinking straight enough to think to take a picture of the drivers or the license plate, but if you see a car like this PLEASE report it to the police and stop them from trying to pray on other young girls!!! We have already reported it to the police, but more information would be helpful in finding them. Be careful and look out for yourself/others!!!! “Just when I was about to lose faith in humanity after almost being kidnapped today, my dad got me this cake and made me remember that some people...make the world a lot better,” she captioned. Pray for Adriana Lima, who maybe walked home from the Miami airport.